From the "52" eBook, you can get now the "Ungimmicked B´Wave" ready to use! 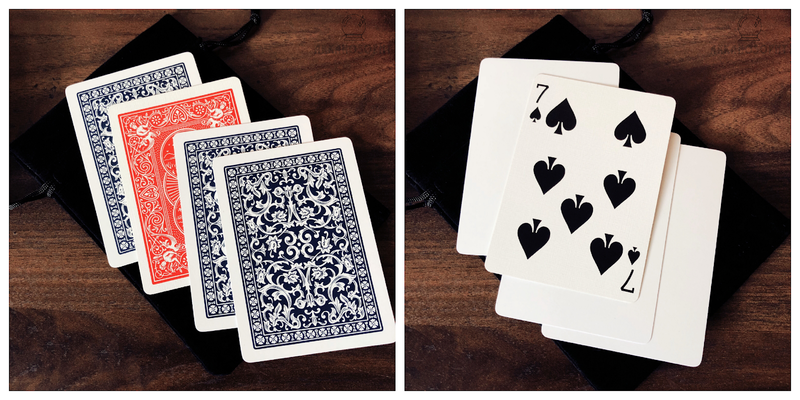 The classic Mentalism packet effect, with a different approach that allows wonderful extra possibilities that are not possible with the original. A prediction with three moments of dramatic revelation, now with beautiful Fournier Back blank cards, which offers a new extra visual contrast with classic playing card backs such as Bicycle. You will learn in the exclusive video THREE structured methods that you can use to create this great small miracle. 3. FREE 2-way out "MultiVelvet Bag"